Silk Purses and Royal Scandal – History… the interesting bits! Thank you Karrie. Glad you liked it. I really enjoyed this – it is well researched and tied all the pieces together. Great job! Just like Humphrey of Gloucester, when a nobleman’s wife is locked up he cannot have legitimate children. It does make it rather difficult, Stephen, that’s true. The Papacy didn’t help either – dragging their heals over the divorces. Very well written piece of history. How scandalous to be caught committing adultery . Was the punishment so harsh ” just ” because they were royalty ? I think so, History Woman. Royal women had to be faithful to their husbands, otherwise you couldn’t guarantee the right bloodline was on the throne. I also think King Philip was particularly vicious in order to save face; he had to be brutal to show people how powerful the monarchy still was. Dirty work Afoot, eh? I suppse many if these marriages were not love but convenience, power, lands etc. It just depends on how clever they were, and getting away with it. In this case, guving the knight purses, recorded gifts, and they openly wearing them, seems kind of stupid. It does make you wonder why on earth the women – and the men – would risk so much. Surely they knew the danger they were running? It’s just fascinating. I like your account of this royal scandal. But beware the ‘Salic Law’ pitfall! 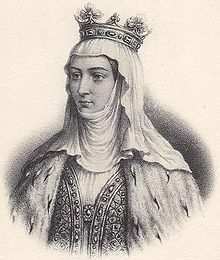 Salic Law was the law of the ancient Franks, not Capetian France (think of Eleanor of Aquitaine). The issue in 1316 was novel: after centuries of kings, there was no male heir. 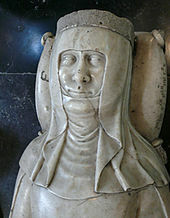 And some of Philip’s supporters said France should not have a queen, it is quite wrong to imagine that the idea of a queen was unthinkable or that Salic Law was the basis of Philip’s claim. 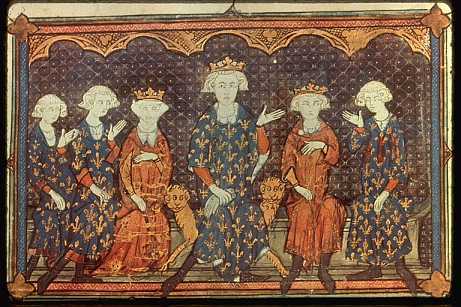 Philip had in fact agreed to be regent until Jeanne reached her majority. But when John the Posthumous died Philip quickly had himself crowned, to establish a fait accompli. Even so, he then assembled a coalition of the great and the good to argue to press his claim; he bribed Jeanne’s supporters, notably the Duke of Burgundy. But it was not until 1358 that Richard le Scot suggested that Salic Law governed the royal succession, an idea enthusiastically embraced by royal propagandists.